KidsFringe volunteers help operate the Fringe Festival’s Family-friendly mini-site KidsFringe. 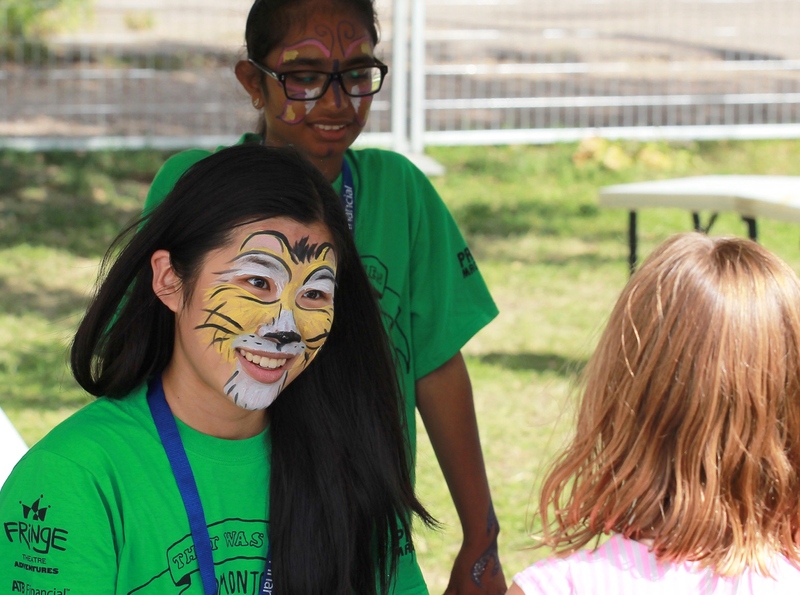 Volunteers run a variety of kids’ activities, including crafts, face-painting, and running games. Volunteers will complete a variety of tasks during their shift. Volunteers should be outgoing and comfortable around children. This year the Kidsfringe site has moved to the Strathcona Community League. All volunteers must successfully complete a Police Information Check including a vulnerable sector search. This cost is covered by Fringe Theatre.